Nature's Nutrition Turmeric Curcumin with Bioperine. 60 Veggie Caps. 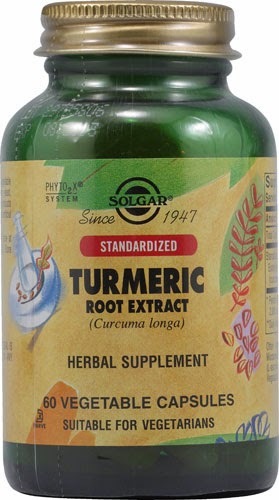 Turmeric root (Curcuma longa), the spice that gives curry it's yellow color, is a perennial plant from the ginger family. 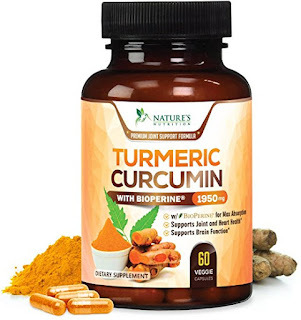 The root is boiled, dried and ground to make turmeric powder, a primary ingredient in curries, and is a very effective nutritional supplement. A potent antioxidant. Turmeric (Curcuma longa) is a popular spice used in curry dishes. 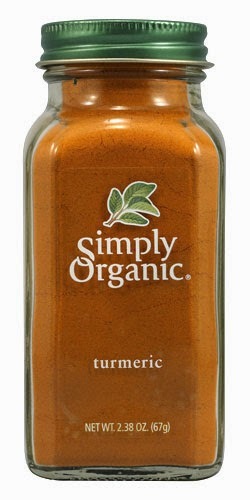 The medicinal properties of this spice have been slowly revealing themselves over the centuries. Long known for its anti-inflammatory properties, recent research has revealed that turmeric is a natural wonder, proving beneficial in the treatment of many different health conditions from cancer to Alzheimer's disease. ***See my Post on the 20 Health Benefits of this amazing herb. Sugar, salt, corn, yeast, wheat, gluten, dairy and animal products,artificial preservatives, flavors and colors. Sprinkle on any food you like. Especially good on Deviled eggs or any Chicken dish.